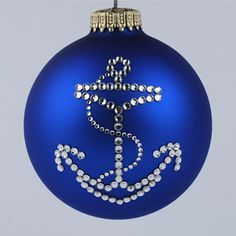 As we come to the end of a very full year, I would like to take this opportunity to wish all Shipmates and their families a very Happy Christmas and a successful and prosperous voyage through the New Year. I find myself reflecting on the past year and on those who have supported and helped shape our Association. I treasure the times I have spent with many of you this year and are hoping for more of the same in 2017. To the Executive, Committee and membership, I thank you for your support and encouragement. Please save a Christmas thought for shipmates who have ‘crossed the bar’ and for those who are serving our country in operations overseas and who cannot be with loved ones at this special time of year. Their sacrifice will not be forgotten. I wish you all the very best as you embark on 2017. No key card settings James -it’s definately your aids. Where are you putting them? There is nothing wrong your hearing aids Jim… You have got “Cauliflower Ears” from all the ear-bashing SWMBO has given you! Doesn’t Brian have a spare set of ‘key cards’ or did he return the ones you gave him many years ago. Jim!! CCK10 Edition Romeo Sierra – Ah! Now there’s a story! My ex-Chief Radioman friend turned KGB spy who is “rotting away” in the United States Penitentiary Atwater might have some key cards amongst his archives available! bugger, i forgot to bring them for framing when i was there yesterday frank..i knew there was something else..